If you have never heard of SIBO, small intestinal bacterial overgrowth, you aren’t the only one. Most gut issues go undiagnosed and SIBO has a reputation for being massively under-diagnosed. The actual number of people in the general population with SIBO remains a mystery, but studies suggest that between 6 to 15 percent of healthy, asymptomatic people have SIBO. SIBO leads to bloating, diarrhea, constipation, and more. Learn what SIBO reveals about your health and what you can do about it. Small Intestinal Bacterial Overgrowth, or SIBO, is a condition where the bacteria in your small intestine overgrow, disrupting the balance of your gut microbiome. Typically, SIBO involves an overgrowth of the various types of bacteria that should normally be found in the colon. In a normal, healthy small intestine you will find relatively few bacteria residing there compared to the large intestine. SIBO negatively impacts the structure and function of the small intestine. SIBO can interfere with digestion of food and how you absorb nutrients. Its after effects can trigger serious malnutrition, primarily by damaging the cells lining the small bowel. This causes a domino effect where the damage to the small intestinal cells can lead to leaky gut, which can lead to inflammation, autoimmune disease, food allergies and more. Any condition which disturbs the normal functioning of the small intestine can augment your chances of experiencing SIBO. Abnormal pancreatic or immune function, decreased mobility, radical changes in diet, and the introduction of new bacteria into your system (via food poisoning or contaminated water) can throw off this delicate internal balance and initiate the excessive growth of one or more types of bacteria. Some linked causes of SIBO include: Irritable Bowel Syndrome, Metabolic Disorders, aging, Celiac Disease, chronic diarrhea, diets high in sugar, organ dysfunction, chronic alcohol use, reports the National Institutes of Health (NIH). Other possible causes are dysfunction of intestinal nerves/muscles, and anatomic abnormalities of the intestine such as intestinal obstruction, or bypassed small intestine. There is a definite link between IBS and SIBO. 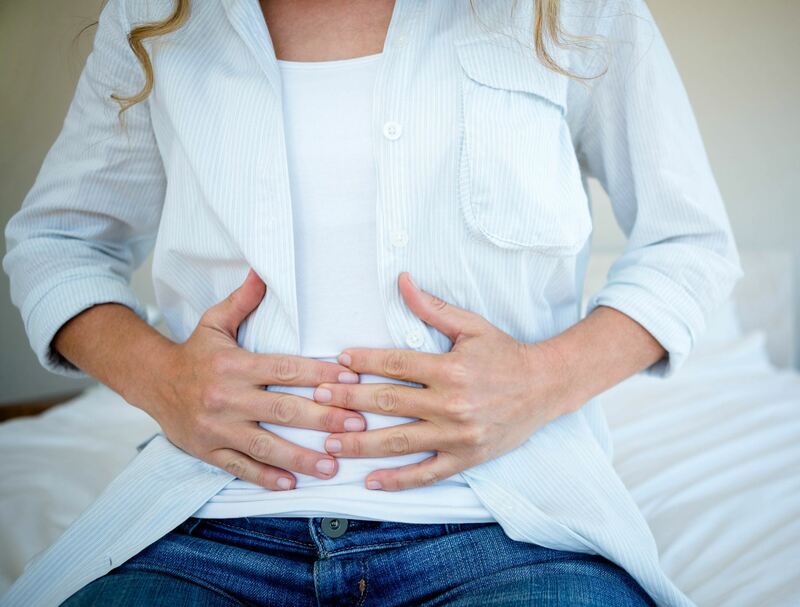 A recent scientific study found that 36% of patients with Irritable Bowel Syndrome could trace their disease back to to a small intestinal bacterial outgrowth (SIBO), or Dysbiosis (aka. Dysbacteriosis). What Are Common Symptoms or Signs? “Breath testing is now the predominant method to evaluate patients for potential overgrowth because of its simplicity, safety, and lack of invasiveness,” according to the NIH. The Small Intestinal Bacterial Overgrowth (SIBO) breath test can reveal what is triggering your abdominal symptoms with a non-invasive breath test. The test catches exhaled hydrogen and methane gases after you take a lactulose solution. The data taken from this test can reveal bacterial overgrowth of the small intestine. Other methods for testing the health of the small bowel are more invasive, and expensive. Genova Diagnostics provides the SIBO breath test as an effective tool for detecting gastrointestinal problems without the expense or complex requirements of other methods. How Do You Treat or Prevent Small Intestinal Bacterial Overgrowth? The first step toward treating SIBO is finding what your underlying cause of it is. Once you know the cause you can work on eliminating it as a trigger while also restoring your proper gut-bacteria balance. Restoring the gut balance is done with antibiotics, probiotics, diet modification, or a combination of all three. Diet modifications are a key component of long-term success with treatment. The abnormal quantities of bacteria in your small intestine with SIBO feed off the undigested food in your small intestine. Sugars, simple and complex carbohydrates alcohol and starches are what SIBO most craves. Making these changes to lifestyle and nutrition can seem like a daunting task if you are attempting it alone. That is where our friendly and experienced staff at Balanced Well-Being Healthcare comes in! We are anxious to help you get back to feeling your best! How Can I Learn More About Small Intestinal Bacterial Overgrowth? Learn how you can benefit from gut testing today by calling 970-631-8286 and discover how healthy you are on a biochemical, molecular level. Learn strategies and tips to balance your body physically, mentally and emotionally so you can have what you need for total body wellness.